Written on June 14, 2017 . Posted in Announcements + Updates, Fine Arts, Updates from & for Faculty. 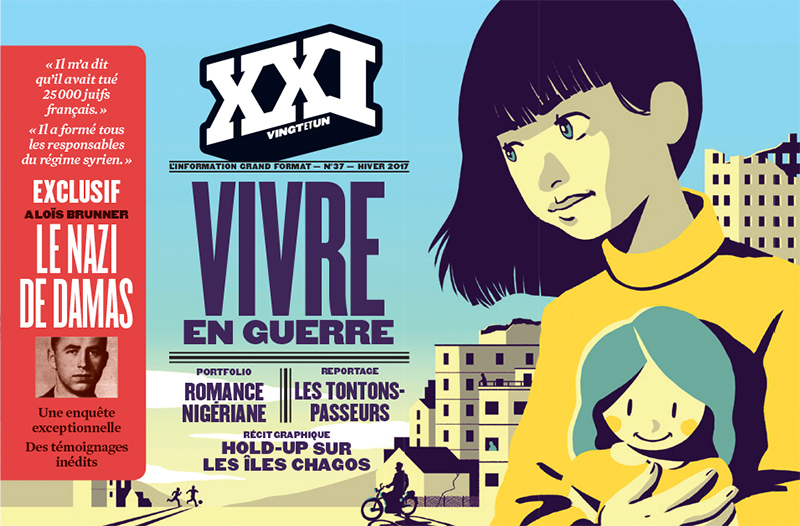 Fred Lynch (Associate Professor, Illustration) was published in XXI, the French illustration journalism magazine in May. The image and story were drawn from of his ongoing series Paul Revere’s Ride Revisited which examines history, preservation and change in America. For the story, Lynch revisited the site of a Catholic covent and school in Somerville, Massachusetts which was burned to ground in 1834 by a riot. He compares xenophobia then, and now, in modern America.